CERIC will fund a new research project in Quebec that will examine how services can better support the professional integration of immigrants in response to the struggles many face despite being selected for their qualifications and having high levels of education and training. The project will be led by Marcelline Bangali, a professor at Université Laval’s Faculty of Education and the Assistant Director of the Centre de recherche et d’intervention sur l’éducation et la vie au travail (CRIEVAT), one of the largest career counselling research centres in Canada. Research for the project will be undertaken in partnership with the Service d’Orientation et d’Intégration des Immigrants au Travail (SOIT), a non-profit employment agency in Quebec City serving newcomers and employers. 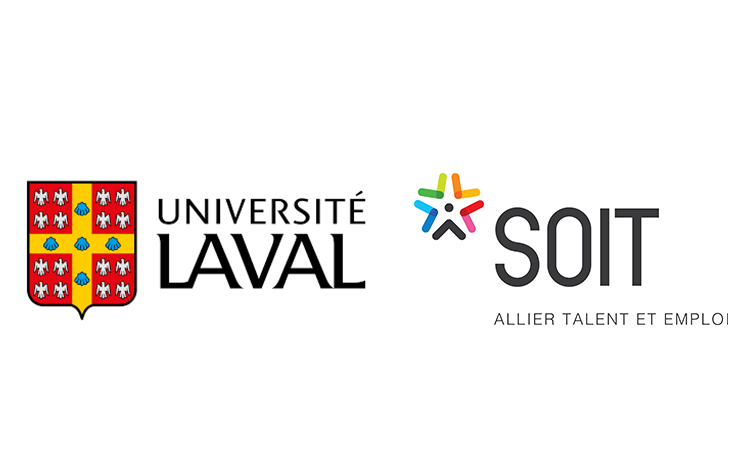 The partnership with SOIT will allow researchers to gain a better understanding of how well the services offered by the organization meet the needs of its clients for lasting integration in a job that they consider decent and that aligns with their life choices. The end goal of the research is to design a service model that helps new immigrants manage this transition, with its inherently complex professional and identity issues. The project will be carried out over three years by a research team from Université Laval and Université de Moncton. Focused on the enrichment of research through experiential knowledge, this project will be implemented in close collaboration with SOIT. It will consist of observing the activities of this organization, conducting a survey as well as interviews with its newcomer clients on the impact of the services received, and individual and group interviews with its career counselling staff on their practice. The research team will also carry out a study on employers’ perceptions so that the areas for improvement and the courses of action that emerge from this research will be consistent with the realities of the labour market. The research will then be used to develop an experimental intervention model that will be tested by SOIT. This comprehensive, innovative practice model will be designed based on a user-centred constructivist approach, from the perspective of the new paradigm of 21st-century career guidance (inspired by the works of Mark Savickas, Jean Guichard and Mary McMahon). The need for this research has emerged over several decades. Immigrants to Quebec are chosen based on a number of criteria, including professional qualifications and a high level of education. For chosen candidates, employment opportunities are a determining factor. While these criteria are required for candidates to be admitted as immigrants, their integration into the workforce has been challenging (unemployment, deskilling and discrimination). Many newcomers, despite being selected for their qualifications, face an unwanted and unexpected professional shift, which usually results in a “loss of status.” Many career counselling services target quick access to the labour market, which can lead to counterproductive choices with negative repercussions for mental health, well-being and family life. Very few studies until now have examined the real impact of the services provided to immigrants in this complex transition and professional re-orientation. The results of the project will help create a practical guide, to be published in English and French, for professionals working with immigrants. The intervention methods and recommendations that will be developed in this guide can be adapted to the needs of other provinces in order to analyze practices and propose new approaches to better meet the needs of immigrants. A summer institute intended for both guidance and career counsellors, professionals working with immigrants (e.g. in social services) and career counselling students will further support the transfer of knowledge. A graduate seminar will also be created, allowing students to incorporate the results of this research into their future professional practice or their own research projects. Finally, the research will contribute to political and social decision-making around the integration of immigrants in Canada. CERIC provides funding and other support to develop innovative career development resources. Individuals and organizations are welcome to submit project proposals for career counselling-related research or learning projects. This research project aligns with several of CERIC’s five priority funding areas, including career practitioning with social and economic impact; new emerging career development theories and career management models; and impact of career services on policy and programs.